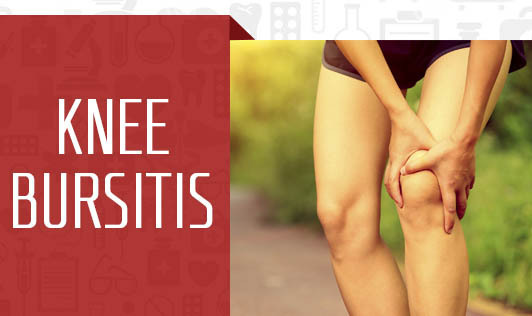 Knee bursitis refers to an inflammation of a bursa located near one's knee joint. A burse is a small fluid filled, pad-like-sac that reduces friction and cushions the pressure points between one's bones, tendons and muscles near the joint. Knee bursitis commonly occurs over the kneecap or on the inner side of one's knee below the joint. This condition causes pain and can limit mobility. If you notice any swelling or pain in your knee, make an appointment with your doctor for a prompt diagnosis!